Flatheads forever! 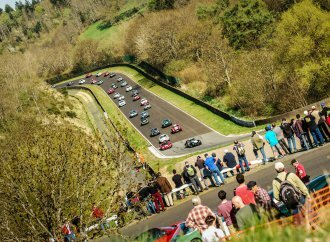 Those of a certain age should remember that hot rod rallying cry from gearheads who anachronistically embraced Ford’s iconic side-valve V8s over the newfangled OHV engines. Yes, that was a long time ago. Although, many purists still run performance-tweaked “flatties” in their vintage rods. 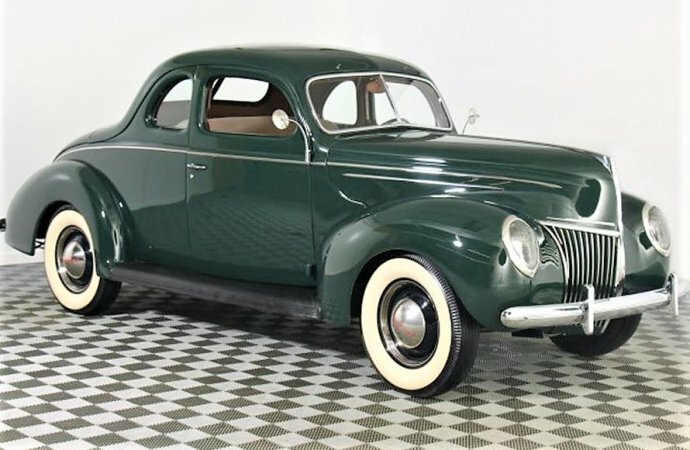 The Pick of the Day, a 1939 Ford Deluxe business coupe, is a restored example packing flathead-V8 power, an engine that generated about 90 horsepower in its original factory configuration, in which this one appears to be. This low-mileage coupe looks to be in sweet condition, pretty much as it might have been back in the day. These cars were designed as no-nonsense vehicles for traveling salesmen (very few traveling saleswomen back then) with a single bench seat in its short cabin and a voluminous trunk for transporting samples and products. 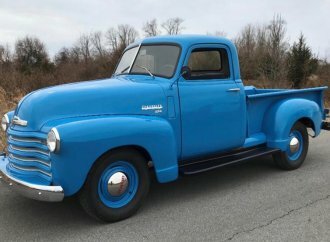 A Deluxe version with the V8 would be driven by a more-successful salesman, rather than a base model with a flathead inline-6. 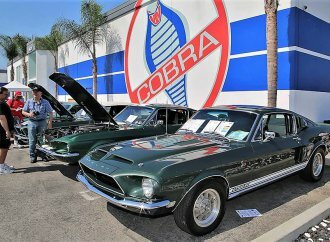 While the design focused on practicality, the styling looks appealingly sporty, so that most of these attractive cars have been rodded, customized or resto-modded. They’re not often seen in such original condition, and the temptation would be strong to “upgrade” this one for more power and drivability. Resist! The car is beautifully presented in the photos with the ad, with only 58,331 miles on its odometer and just as clean underneath and under the hood as it is on top. 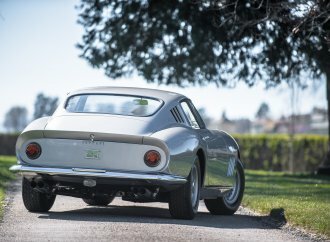 “One of the nicest examples we have had,” the seller says. “The Dartmouth Green paint is beautifully applied over a true Henry Ford all-steel body that is just as solid as you would expect with its Atlanta roots. It’s our opinion that this one has never been rusty, and the fit and finish of the car illustrates this quite nicely. The interior is also in very good condition, although the dealer plans to replace the old-looking steering wheel. 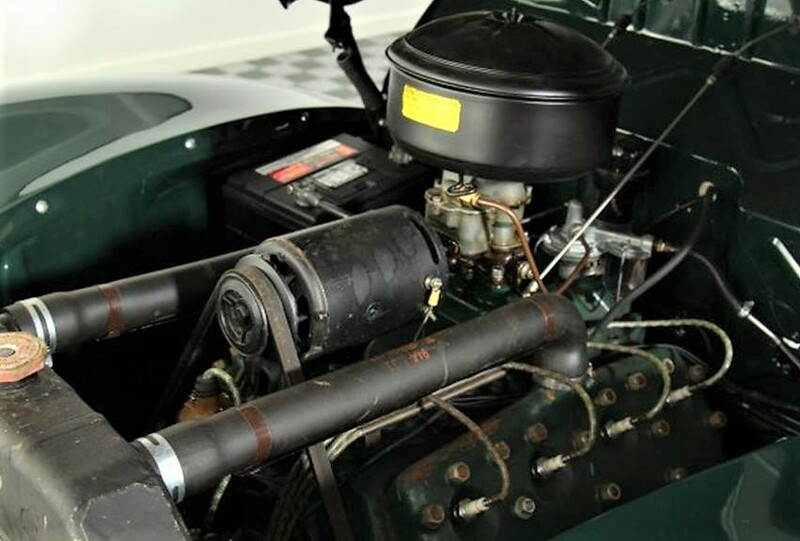 The previous owner installed a new exhaust, stainless-steel brake lines and a “composite gas tank (think no more rust),” with a solid chassis and floor having no signs of rust or damage repair. 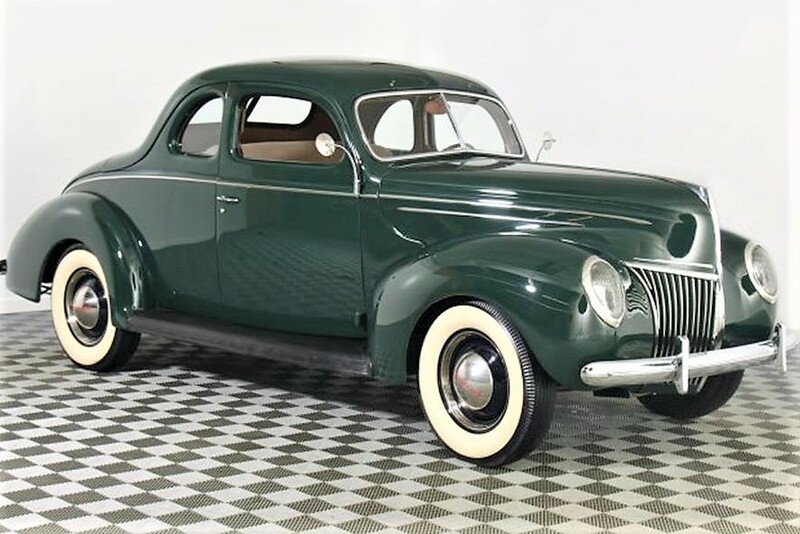 The coupe is appropriately priced at $31,900 for a car that should warm the heart of any flathead-Ford enthusiast. The 1939 Ford was not available with a six. There was a small 140 cubic inch V8 60 which was not available with the Deluxe. This was Ford’s year for hydraulic brakes and the only year that a hydraulic-brake Ford used the wide five-bolt pattern wheels which were first seen on the 1936 Ford. 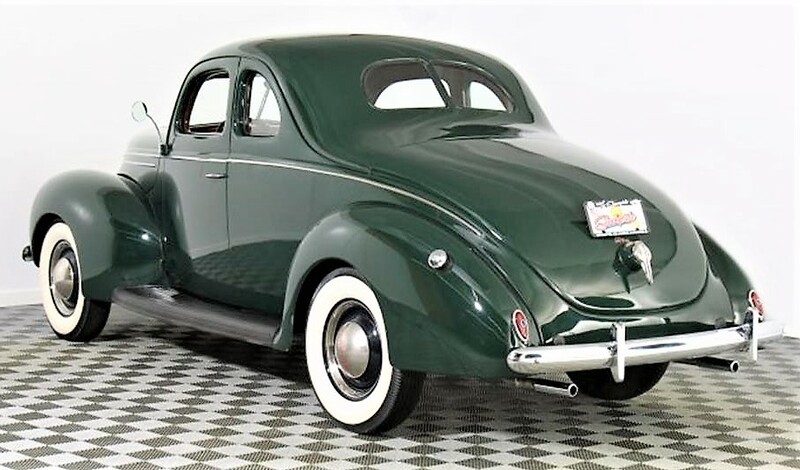 The 1940 Ford Standard looked very much like the 1939 Deluxe but had bottom-mounted wipers and did not have the trim strip on the hood. When I was a small kid, our family vehicle was a 1938 Ford 4-door convertible, with a 85 HP V8. 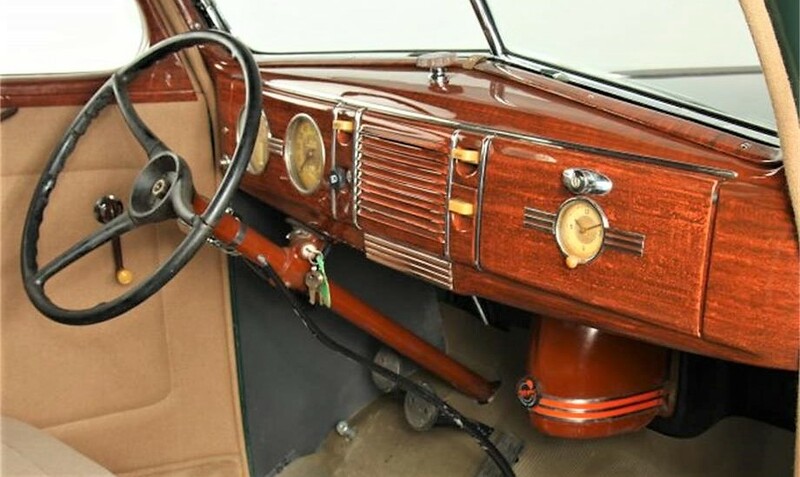 Looking at the interior, I do not recognize the fake wood dashboard nor the steering wheel, which appears to belong to a different car. Tires were 600 x 16, not the size that it looks now.